Chronicles and Characters of the Stock Exchange - IFA Vintage and Current Book Library - Index Fund Advisors, Inc.
1st American Edition. 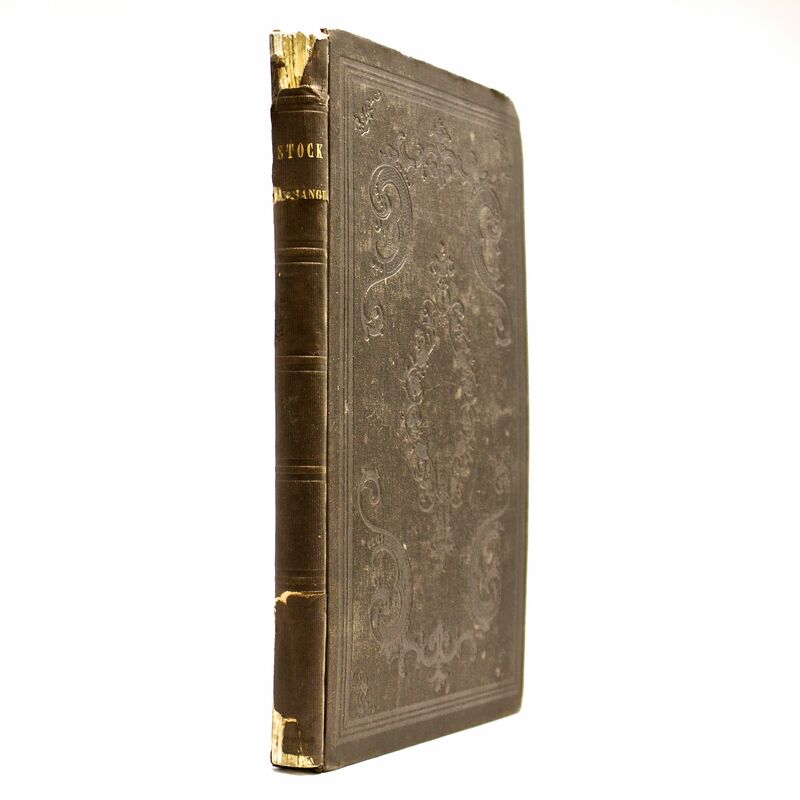 Bound in the original hand tooled blind stamped decorated covers with the title in gilt on the spine. The spine ends are chipped but the rest of the book looks good. The endpapers are present, the binding is nice and tight. Library has two additional rebound copies of the book.